Easily change between a flat desktop and a tilted ergonomic orientation. 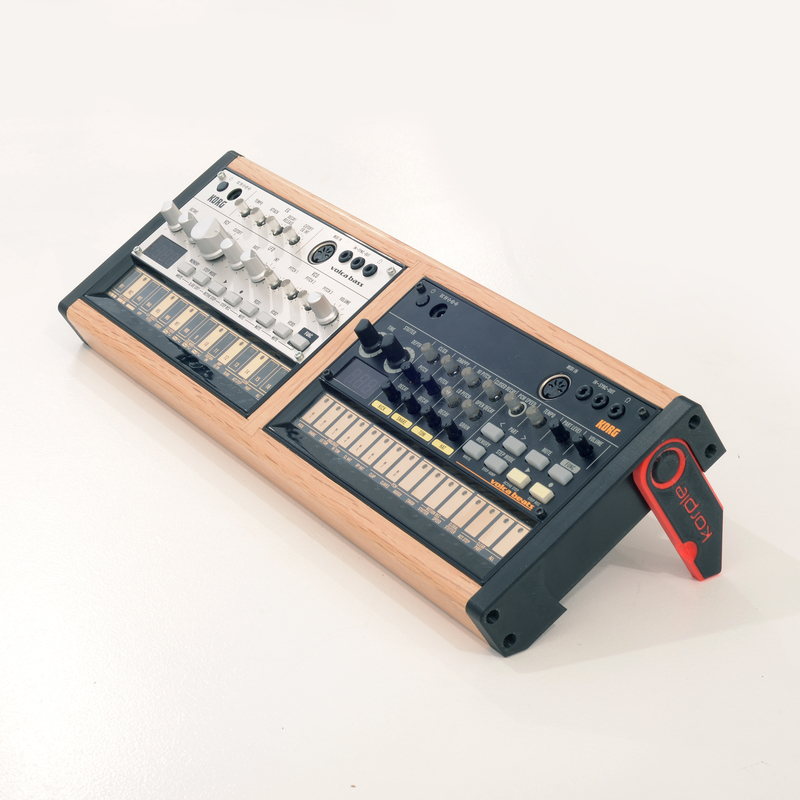 The Volcas fit snugly into the case and are held by friction. Simply push out from underneath to remove.